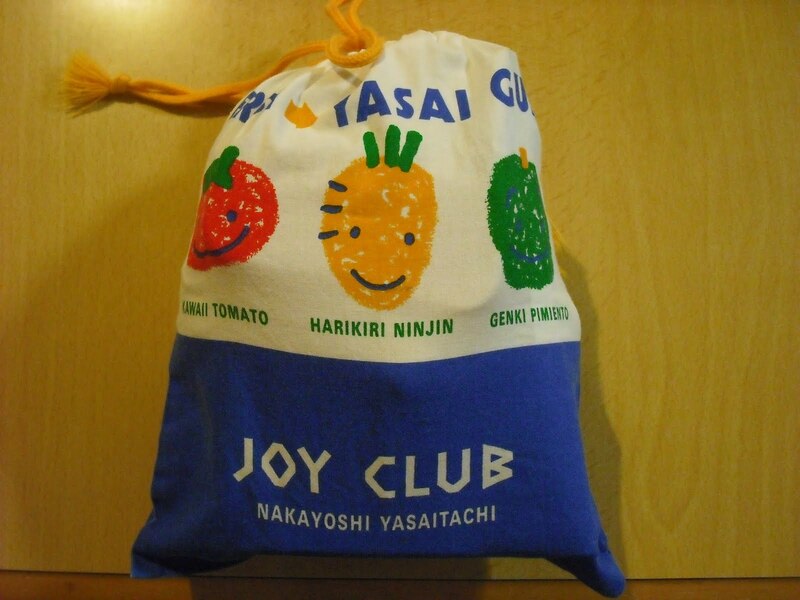 My daughter belongs to the track and field club at junior high school, so she needs a bento when she participates in a track and field competition. Here is one example of her bento. Her new bento box is rather small and is not rectangular, so it’s sometimes tricky to pack it with okazu. She still does not have a pair of chopsticks for bento or a chopstick holder, and uses a pair of disposable wooden chopsticks (waribashi in Japanese). Shown on the left is some canned white peach. 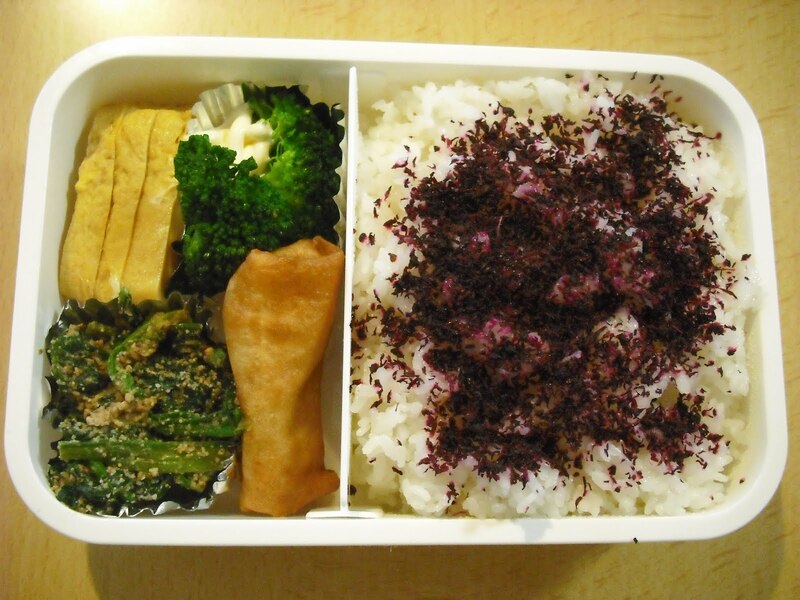 Today, I made another bento for her, because the track and field club participates in a competition. Store-bought frozen hijiki is a favorite of hers. Just like her brother, she likes cherry tomatoes very much, and she likes canned fruit. She also likes spaghetti as a bento okazu (right). Spaghetti Neapolitan. She also likes tarako (cod roe) spaghetti. It’s been hot lately, so I have to make sure that the bento does not go bad. What do I do to do so? One solution is use small packs of frozen jelly. I used three of them today. The I-wrap bag at the upper left of the photo below contains them, together with the cherry tomatoes and canned fruit. I also used two of these small packs of refrigerant, which came with perishable foods such as cakes. I keep a lot of them in the freezer. I put the bento box, packs of refrigerants, and everything in this bag. 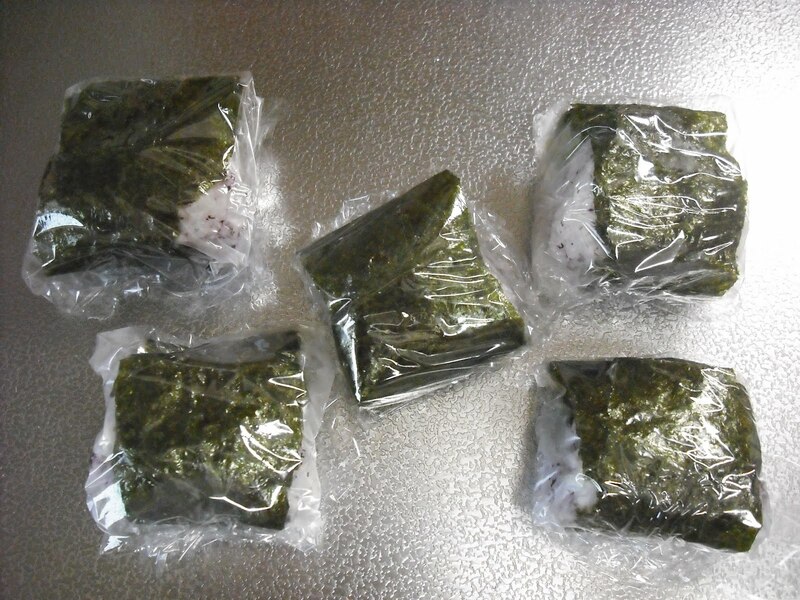 I also had to make some onigiri for my daughter to have for breakfast on the bus. She took three of them with her. Needless to say, I also made a bento for my son. I got up 4:30 this morning to make these bento and onigiri so my daughter could get to the school by 5:45.